The Phone Monkey! 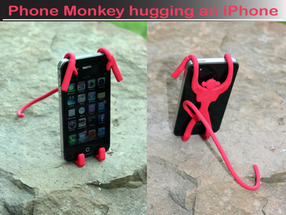 It hugs your phone to stand on your desk, or twist the tail to swing from your rear-view mirror or a jungle vine. 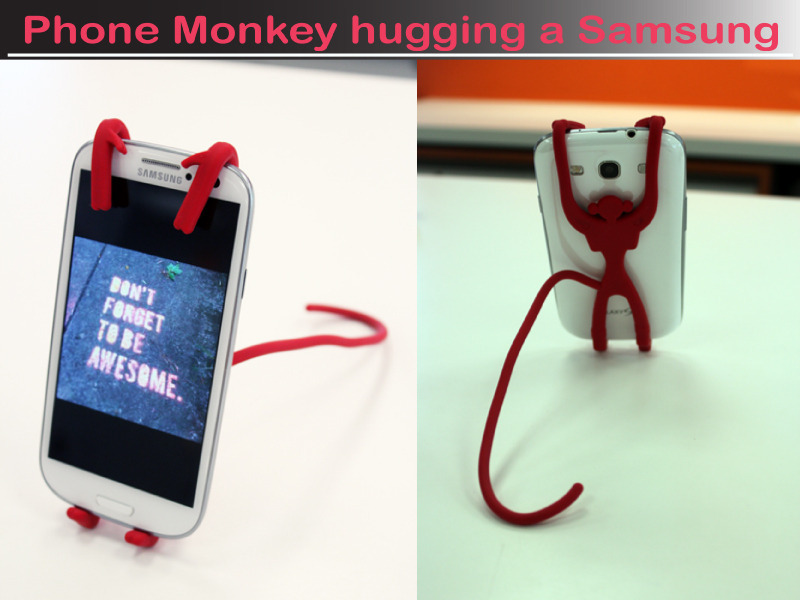 The Phone Monkey™ is a flexible Smartphone stand made from high quality silicone and steel. Phone Monkey frees up your hands and holds any Smartphone from the iPhone running iOS, to the Galaxy Note running Android, to the Nokia Lumia running Windows, and everything in between in a viewing position on any flat surface or hanging from a rear-view mirror, door knob or even just a nail. 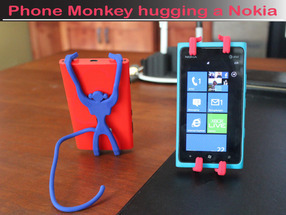 Use the Phone Monkey as a tripod or as a stand for Skype or FaceTime.